Wood paneling and open glass airy room to match Pittwater beyond- picture by Sally Bacon. The new Lounge Bar at the Royal Motor Yacht Club Broken Bay had its grand opening on Friday evening - with wood and rope details, reminiscent of being aboard a classy vessel, this open plan room meets Pittwater with an echo of all the boating seasons inspire. 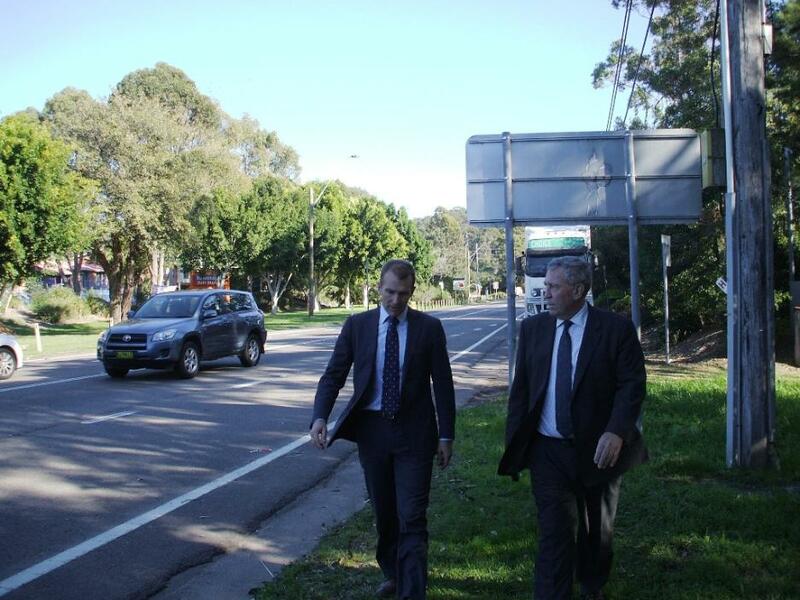 Roads Minister Duncan Gay and Pittwater MP Rob Stokes inspecting the soon to be upgraded section of Mona Vale Road. Minister for Roads and Freight Duncan Gay and Member for Pittwater Rob Stokes announced this week that work would start on the first stage of the Mona Vale Road Upgrade Project on June 30th. Powerful owl Ninox strenua- picture by Paul Wheeler, 2014. Regular contributor Paul Wheeler shares this great photograph of a Powerful owl he took before the winds blew in. "Our cat was looking a bit nervous!" Mr. Wheeler said - wonderful picture - and great to see these listed as vulnerable in NSW beautiful birds are still to be seen and heard in Pittwater. The Powerful owl mates for life (up to 30 years) and requires old growth trees to build a nest in, usually in the hollow. They are a large owl whose wingspan can reach 1.4 metres. Newport Beach this week - picture by A J Guesdon. With snow dumps this week we know many of you will be taking the youngsters south for some good old family fun. 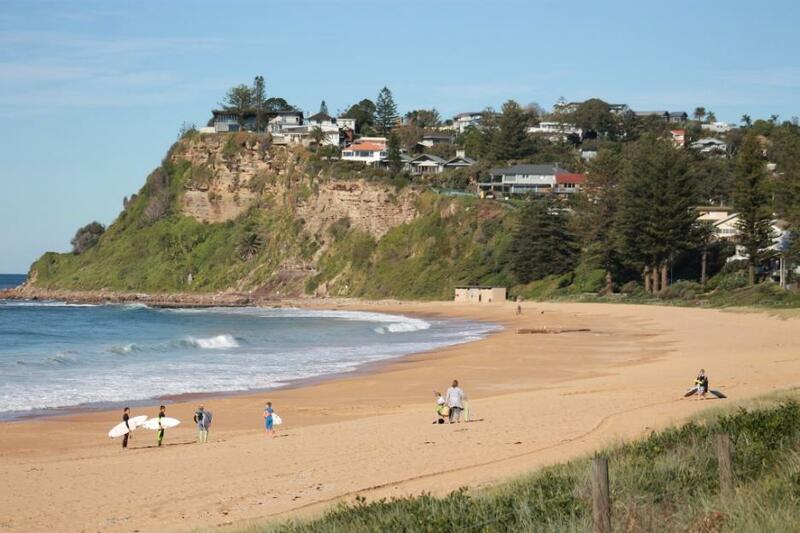 For those of you who will be getting in the surf or about and about, there's plenty for you to do in Pittwater too. We hope you all have a great break and as always, we've listed some great events for youngsters and found a movie or two too...just in case you get stuck somewhere where the rain won't stop and you can't get outside to play.